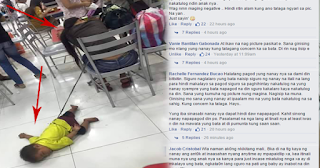 Controversial: Image of a Mother Who Tied Her Son Gone Viral on Social Media! They said, one of the greatest gifts that every parent should have is their children. 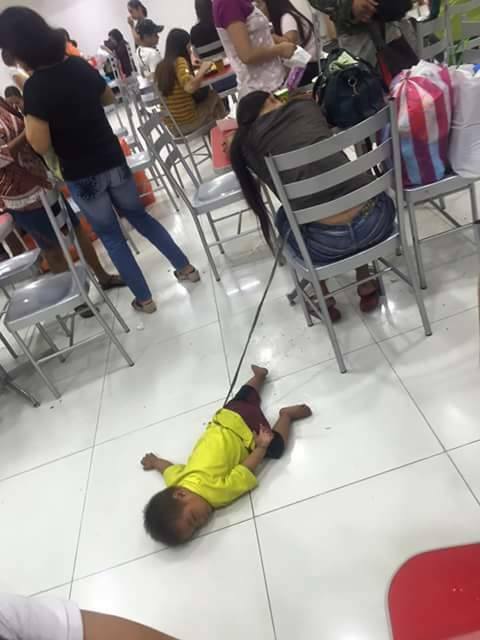 For most parents taking care of them is like heaven, seeing their child smile and happiness are best achieved in life, but why this mother in the picture lets her son sleep in the floors while it was tied by rope. Many Netizen was shocked after seeing this photo, especially those who are aiming for a child, but they couldn't because of medical issues. 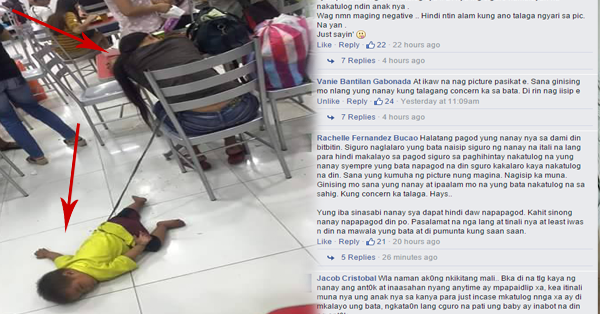 Some people said, maybe because she was totally tired, that's why she came up to do this thing to her son. Many people still believe that this matter has been just tired that is why she tied it to her so he won't go anywhere. Sometimes, we tend to see and judge the picture without thinking its good side, but if we could really think and analyze the situation this mother still concerned for his son. 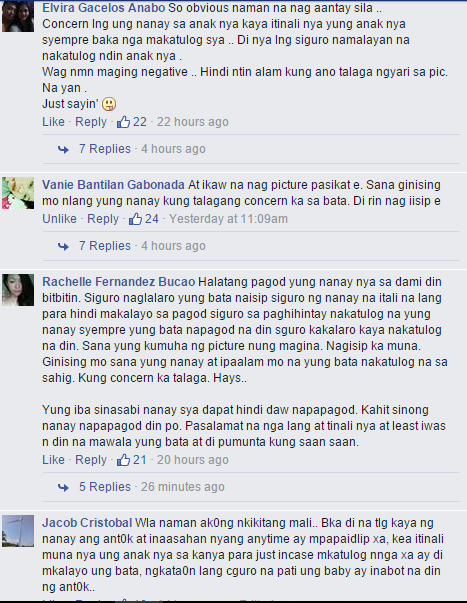 Isa din akong magulang, tatay nga lng.. At parehong bagay din cguro ang gagawin ko sa sitwasyong ganyan, di lng napansin ng picture taker na ung bata lng ang itinali ng nanay at Hindi lahat ng daladalahan nila.. Isang patunay na sa kabila ng kanyang kahimbingan ay seguridad pa din ng kanyang anak ang una sa kanyang listahan.. MAGBIGAY PUGAY SA LAHAT NG NANAY SA MUNDO!